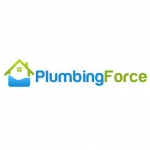 Plumbingforce are your local plumbing and heating specialists. Our plumbers gas heating and drainage experts live and work within your local area meaning we can always be at your property within an hour of your call or sooner! From unblocking drains fixing burst pipes installing a complete central heating system to repairing a leaking tap no job is too big or small. Whether your looking to have a new bathroom suite installed, a gas central heating system serviced, a drain unblocked or require the emergency services of a London plumbing expert, Plumbingforce have got you covered! Our pro-active and experienced team of locally based London plumbers and London gas engineers are on hand to tackle any plumbing problems you may have, from a leaking tap or toilet, to burst pipes and powerflushing, there isn't anything we can't do. Need An Emergency London Plumber Or Gas Engineer? hen call us today to arrange a Rapid Response plumbing and gas service in London. We have professional and experienced engineers available who can provide a high quality service without delay. From blocked drains to leaking taps or a faulty central heating system – we'll be there in 1 hour or less! Want A Plumbing Or Gas Heating Quotation? For all new plumbing and gas installations, our experienced London engineers are able to provide a free no obligation quotation for all new installations, including kitchen plumbing, bathroom plumbing, gas boiler installations and more. Contact us for further details. We Cover All Of London! Whether you live in Central London, North London, South London, East London or West London, we have local engineers throughout your area everyday! Have an emergency? Were on hand to attend your property usually within 1-2 hours of your telephone call! Contact us today to discuss your plumbing or heating emergency. We do not charge a call out fee! We provide free estimates for all new installations, such as a central heating system or new bathroom suite. For emergencies or repairs, a competitive fee is applicable to investigate and repair any problem you have. Do you price match other competitors? We will endeavour to BEAT other reputable competitors on a like for like basis, providing their quotation is provided in writing prior to any works being carried out. Our price match service is only applicable to new installations (not for our emergency service call outs). Can I arrange an appointment for any time of the day? We can schedule an appointment on a day and time that suits you. Simply call us to discuss. Do you provide free estimates for new installations? We provide a free quotation service for all new installations. If you need a gas heating system, bathroom installed, kitchen plumbing fitted or anything else, simply call us and we will send a qualified engineer to assess and provide you a detailed written quote. &pound;200 for nothing apart from a damaged toilet. Please please do not use.